Site cleaning time! We are now using an SSL certificate. So the ‘new’ URL is https://quietwaterpaddles.com! ‘www’ is no longer part of the URL and there is an ‘s’ in https. I hope those of you coming to Canoecopia will consider stopping by the Atrium on Saturday from 1-4. I'm doing a ‘show and share’ on paddle building. 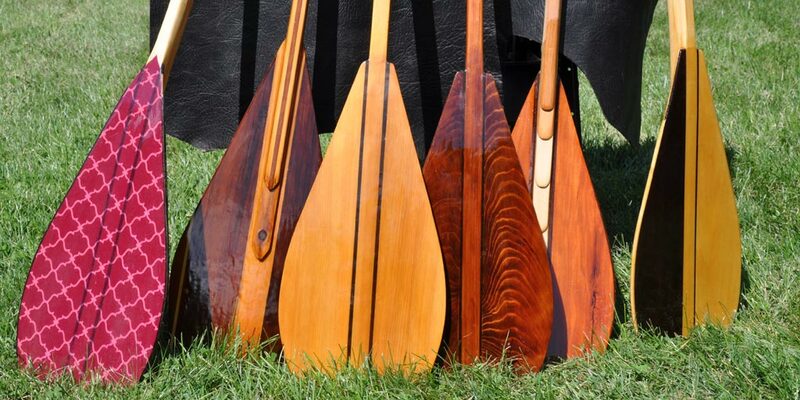 quietwater paddles offers kits containing the form, the wood and the other pieces needed to make two bent shaft laminated wood canoe paddles. You do not need electricity to finish one of our kits! Hands can get the job done. Paddlers with no woodworking experience can do this! We also hand craft one of a kind custom paddles, ready for use in the great watery outdoors! The default kit, available in our online store, is a great starting point for the first time paddle maker. In addition to the clear, vertical grain western red cedar for the blades, that you will find in the kit, quietwater also has a wide range of choices when it comes to wood types for the shaft and blade of your next paddle. Walnut and redwood are available if you want to upgrade a bit and add a different look to your paddle(s). Handles are also available in a wide range of wood species, styles and combinations. .
A quietwater paddle kit will also work for a straight shaft paddle! Same shaft strips, blade pieces and handle. The form and the way you put the paddle together are changed, but it is still a ‘hands only’ project. Just call if you want to order this option, so I can make sure to get you the best length of shaft strips. If you're after a guide stick, a quietwater paddle kit will work for that too! After the new year, we'll be rolling out some new kits and options. One set of options is all about shaft strips that are wider. Along with a matching form base, you can make a wider, more heavy duty shaft. Paired with additional shaft strips, you can make your own custom guide stick, if that's what you're after. We are big fans of DIY. It's a great feeling to get out on the water and use a paddle you made yourself. At the same time, we also recognize that sometimes gifts are the idea and not projects. So if a completed paddle is what you want, then a completed paddle is what we can do. This is a custom step and takes a few rounds of email and phone calls. But the end result is a long package with a completed paddle in it instead of the raw pieces. We also offer custom pieces for paddle making. Different wood types for both shaft and blade, wider blade widths, and coloring the wood pieces are some of the custom options we offer. If SUP is your thing, please visit our sister site, wavetrainSUP.